Visitors traveling to mainland China require a Chinese visa, which should be obtained in advance. The type of visa you should apply for is based on your major purpose of travel. There are eight major visa type: business (M), non-commerce (F), tourist (L), work (Z), student (X), private (S), family reunion (Q), crew (C). Do you know what paperwork you need to prepare in order to apply for China visa? If your answers is no, this site is for you. VisaRite is a visa service agency authorized by the US Department of State and Chinese Consulate. We provide assistance to travelers looking to understand passport and visa application rules and requirements as well as assistance in preparing proper paperwork to ensure passport and visas are processed smoothly and efficiently. Please click a link below to select the visa type based on your major purpose. You will see detailed requirements, including the application form and fee schedules. Kindly follow the instructions closely. Issued to those who intend to go to China for touring, sightseeing or visiting friends. Proof of travel such as flight confirmation and hotel reservation or private invitation letter is required. Single-entry, double-entry or multiple-entry are all available for tourists. The duration of stay (each visit) normally is 30-60 days. Multiple-entry up to 10 years is issued to US passport holder. Business M visa is issued to those who intend to go to China for commercial and trade activities on behalf of a US business. M Visa is usually issued for single-entry, double-entry or multiple-entry. M visa can be issued up to 10 years. The duration of stay (each visit) is normally 30-60 days based on particular Chinese Consulate. F visa had been used as business visa before M visa was introduced. F visa is now changed for noncommercial visit. F visa is issued to those who intend to go to China for research, scientific, cultural exchange on behalf of a US employer. F visa (for non-trade or non-commerce) is currently issued for single entry only. The duration of stay (each visit) is normally 30-60 days. Z issued to those who have obtained employment to work in China. A government issued working permit or employment license is required. Z visa is issued for single-entry only. Holders of Z Visa shall, within 30 days from the date of entry, register and apply for the residence permit in Public Security Bureau (police station). Residence permit is good for multiple entry. Z visa is also issued to people conducting commercial performance in China. R visa is issued to those who are high-level qualified talents or whose skills are urgently needed by China. Issued to those who have been admitted by a Chinese college. Student Visa is sub-divided into X1 and X2. X1 is issued to foreign students who come to China for study for more than 6 months. X2 is issued to those who come to China with same purpose but for a period of less than 6 months. X2 visa is issued for single-entry only. X1 visa can be issued for multiple entry with validity up to 5 years. Issued to those who intend to go to China to live with the immediate family member working or studying in China, or to those who intend to go to China for other private affairs. The intended duration of stay in China exceeds 180 days. "Immediate family members" refers to spouses, parents, sons or daughters under the age of 18 or parents-in-law. Original proof of kinship is required. S1 visa is issued for single-entry only. Holders of S1 visa shall, within 30 days from the date of entry, register and apply for the residence permit in Public Security Bureau (police station). Residence permit is good for multiple entry. Issued to those who intend to visit their immediate family member who is non-Chinese (such as US citizen, etc.) working or studying in China. 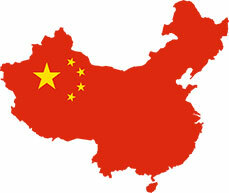 The intended duration of stay in China is normally granted as 30 - 90 days per visit. Proof of kinship is required for visiting family members. S2 visa is usually issued for multiple-entry. Multiple-entry up to 10 years is only issued to US passport holder. Q1 visa is designed for Chinese descendants or foreigners who are spouses of Chinese citizens. Issued to those who are direct family members of Chinese citizens or of foreigners with Chinese permanent residence and intend to go to China for family reunion, or to those who intend to go to China for the purpose of foster care. The intended duration of stay in China exceeds 180 days. "direct family members" refers to spouses, parents, sons, daughters, grandparents, grandsons, granddaughters. Original proof of kinship is required. Interview may be required. Q1 visa is issued for single-entry only. Holders of Q1 Visa shall, within 30 days from the date of entry, register and apply for the residence permit in Public Security Bureau (police station). Residence permit is good for multiple entry. Q2 visa is designed for Chinese descendants or foreigners who are spouses of Chinese citizens. Issued to those with the intention of visiting their relatives who are Chinese citizens residing in China or foreigners with permanent residence status in China. The intended duration of stay in China is normally granted up to 120 days per visit. Q2 visa is usually issued for multiple-entry. Multiple-entry up to 10 years is only issued to US passport holder. Issued to foreign crew members utilizing means of international transportation including: aircraft, trains, ships, and motor vehicle drivers engaged in cross-border transport activities. Multiple-entry up to 5 years is only issued to US passport holder. Group Visa is a particular type of visa that issued to a tourist group which comprises at least five (5) members who must travel together in China. Group Visa is issued as a separate sheet instead of on the individual passport. One Official Visa Notification Letter from any head office of the China Travel Service (CTS), China International Travel Service (CITS), or China Youth Travel Service (CYTS), or Chinese National Tourism Bureau is required. Do I need a visa for traveling to China? Can I use your service if I'm not a U.S. citizen? What does China visa look like?